Japan, at first thought, was an intimidating place to travel to for me, specially considering that not a lot of people speak English. Through the help of these useful Mobile Apps, this made our trip to Japan much easier. Currency Converter – our favorite converter has always been XE Currency Converter. This helps a lot when you are breaking down your budget. 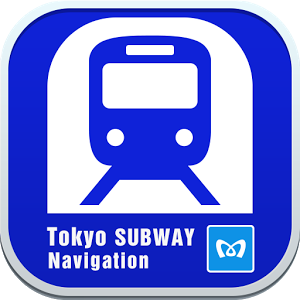 The Tokyo Subway App works like a charm as you just need to specify the stations you will be embarking and disembarking from and this will give you the best possible route and line to take. This cuts the searching time by a lot. The app also gives the estimate fare and travel for the trip. If you do not know which station the tourist spots you are visiting is nearest to, you have the option to search for the landmark and use it as the ‘end point’ or use it as a ‘start point’ if you meant to move to another spot from it. The best thing about the app? It works offline so you don’t need to go gaga if you don’t have an active internet connection. 2. Japan Connected-free Wi-Fi – If you did not order for (4g service) for your stay in Japan and would want to rely on free Wifi, this app is the answer. Technically, you can still connect to free WiFi connections in most malls/subway stations and other areas, but you’d have to register each time. Using this app, you’d only need to register once then use the app to connect to the free WiFi network with ease. This app works on free Wifi connections on train stations, tourist spots, 7/11 branches, malls and others. This app will not work on networks that are not from their partner establishments (this listed on ‘List of Partner Companies’ on Menu). You can also see a list of SSIDs (network name) you can look out for and a lost of providers. As a bonus, you can download offline maps for places you plan to visit. The Tokyo Subway Map, works well with this ‘Japan Connected-free Wi-Fi’ since the app can show which stations offer free Wi-Fi. 3. Tabimori Travel Amulet – This is an all-in-one app that will you help you throughout your visit in Japan seamlessly. It has a guide on Japan’s ‘Life & Culture’. This can range from guiding you on how to ride the train, using a bidet, manners when entering a ‘ryokan’, a menu translation and a whole lot more if you have not done your research before the trip or just need a reminder. The most useful feature on the app I think would be the ‘Phrase Book‘ as this will guide you on the translations for common phrases on certain situations and this does not need internet connection. Most of the apps’ features however just links to other sites and apps (2 mentioned above) that are still really helpful. So there it is, our list of the most useful Mobile Apps when Traveling in Japan. If you discovered other apps that will come handy next time, we’d be glad to know it too.